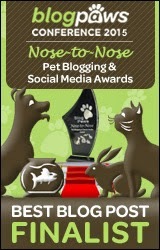 I have written this post on behalf of BlogPaws Pet Blogger Network for BarkBox. I am being compensated for helping spread the word about BarkBox, but Pawsitively Pets only shares information we feel is relevant to our readers. I don't know about you, but I love surprises! I'd much rather receive a physical gift instead of a gift card for special occasions. And who's to say that dogs don't love surprises too? Especially if the surprise is a box of treats and toys. No dog is going to turn that down! 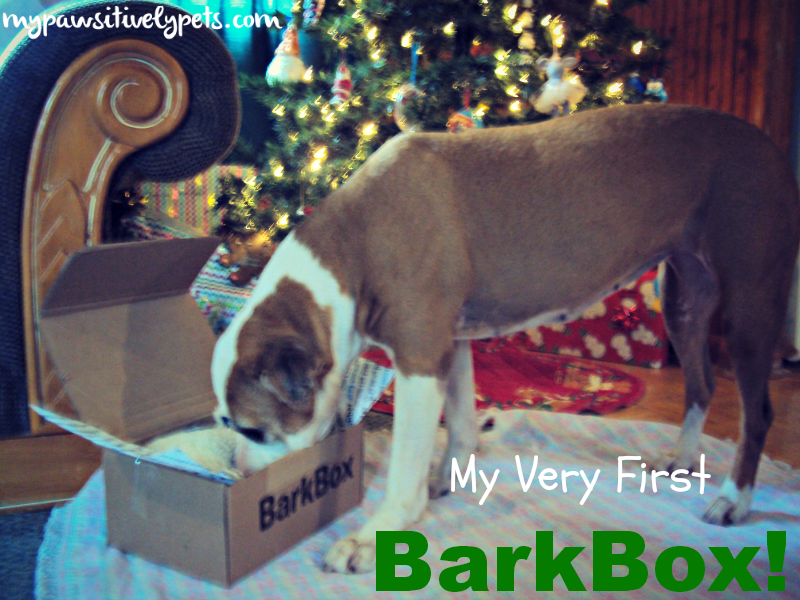 Earlier this month, Shiner received her very first BarkBox and she was very excited about it. I was too. Both of us have always wanted to try BarkBox. If you don't know what BarkBox is, it's a monthly subscription box for dogs that is filled with 4-6 toys, hygiene products, and/or treats for dogs. BarkBox obviously cares about what kind of dog treats go into their boxes. All dog treats that go into a BarkBox are sourced in the USA and Canada and all chews are sourced in the USA, Canada, Australia, New Zealand, and South America. You won't find any rawhide products in a BarkBox, or anything else that is processed with formaldehyde. The people over at BarkBox also take into consideration the ingredients that go into the treats that are sent out. They don't include anything they wouldn't give to their own dogs. Besides taking great care in what they put in their monthly dog boxes, BarkBox also gives back. 10% of all proceeds from their sales goes to dog shelters or other rescue initiatives. I'm always glad to see a charitable company. Shiner seemed pretty excited about her box. She poked around at it for a few minutes before I ever got the chance to open it up. Once open, I tried to set it up nicely in front of the Christmas tree to take some photos. 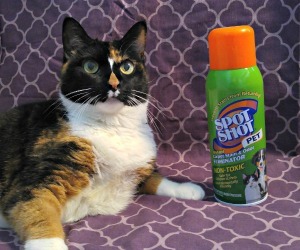 That didn't really work out well because she took one sniff of her new toy and was outta there! She really loves this thing. It's a Slap Happy made by PetSafe. Also included in our BarkBox were 3 bags of very tasty dog treats. I haven't opened them all up yet, because I want to use one up first before I open a new one. 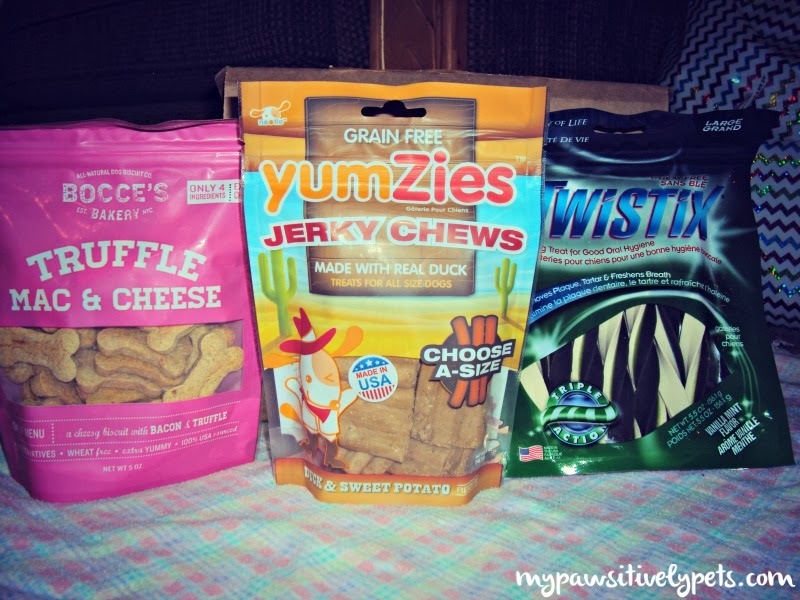 The treats we got were Truffle Mac & Cheese by Bocce's Bakery, Duck YumZies by Nootie, and Twistix Vanilla Mint chew by N-Bone. 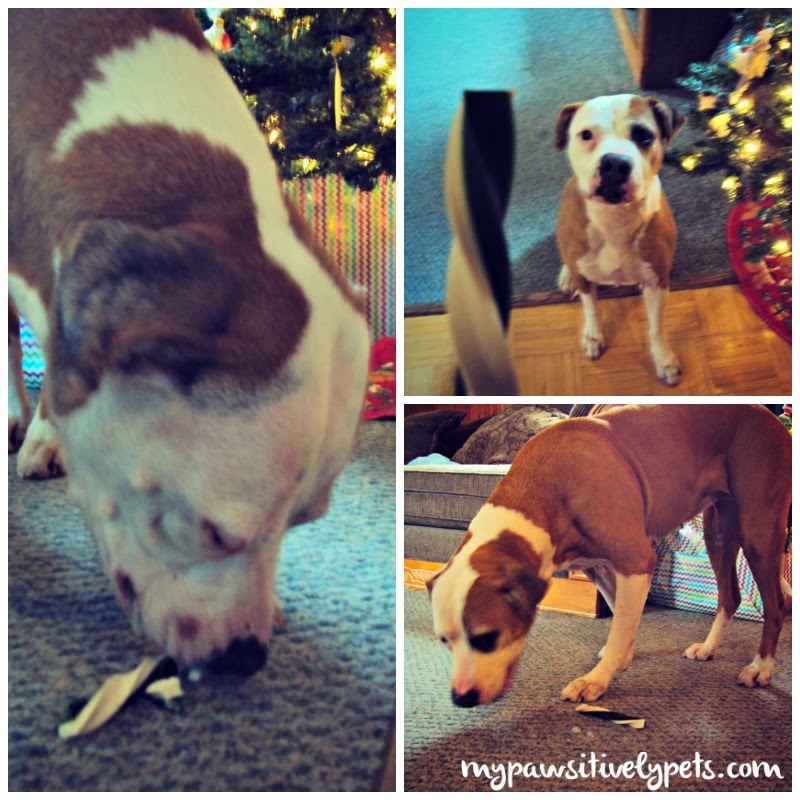 I decided to let Shiner try the Twistix dog treats first. I have never heard of or seen these dog treats before so I thought we'd give them a try. They are a hit with Shiner. They are much more crunchy and chewy than I would have expected, which is a good thing. They also smell fantastic - like vanilla and mint! Now that I've got all these bags of treats, Shiner's been following me around the kitchen staring at her treat counter... I think she's trying to tell me something! I mentioned it once earlier, but I'll say it again. What a perfect holiday gift for dogs! Also, don't worry about shipping fees, because there aren't any. Here's a little more information about ordering a BarkBox for your dog. 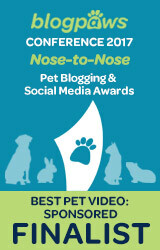 Be sure to connect with BarkBox on Facebook and Twitter. They are always posting some great deals over there. Shiner looks thrilled with her exciting box! I think it sounds like a great idea. Shiner looks keen to check out the contents of the box. She was very keen about getting that fuzzy toy out of there as soon as possible! We agree Shiner looks well happy. Have a wonderful Wednesday. BOL, nice plan guys. At least this way, they could be delivered to your door and you wouldn't need to go treat shopping! That box is filled with yummy treats! I wonder... Is there a Meow Box for kittehs? You know Sushi, I think that I have seen a box for cats before somewhere. I wish we had this bark boxes here too, that would be great! What cute pictures! :) Love the idea behind Bark Box, it's a great way to get new toys and treats to try! Wow! That is an excellent box of goodies, Miss Ann. Shiner is too cute running off with her new toy. Those treats look yummy too. High Paw Shiner! I got the Mac & Cheese biscuits in my box too! Delicious! Yum yum, what a special delivery! 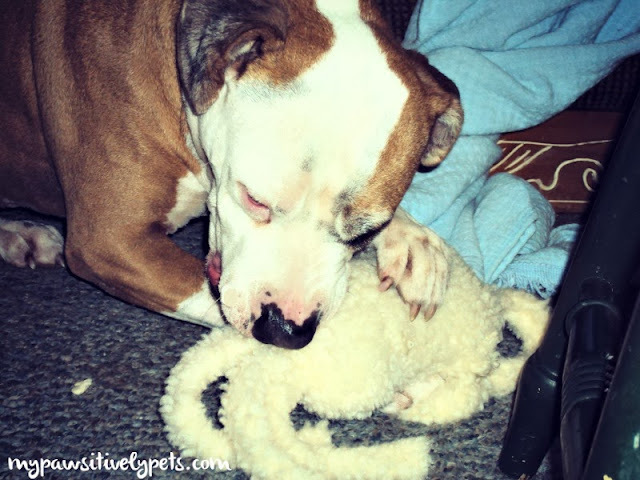 Looks like Shiner hit the jackpot with her first BarkBox! Very cool!! Hehe it is pretty exciting for the humans too, huh?